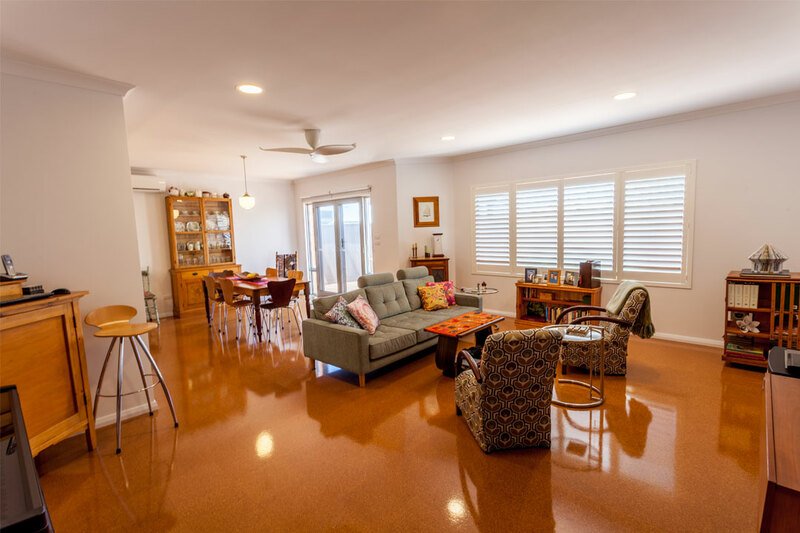 This custom-built single-storey Jolimont property exudes practicality, comfort, and a high standard of design. The highly contemporary home comprises three bedrooms, a study, an open-plan living, dining and entertaining area, and a central kitchen, which is situated next to the laundry and alfresco for optimum convenience. The property also has a large double garage, which includes a storage area, a car hoist and durable epoxy-finished flooring, which is ideal for automotive enthusiasts. The clients wanted a sustainable and accessible home that would suit their lifestyle and meet their future comfort needs. Right Homes achieved this by employing a passive solar design and incorporating smart-glass windows, and ceiling fans, as well as insulation for the walls and ceiling. A photovoltaic (PV) and solar hot-water system were also installed. The highly accessible home includes wide doorframes and lever handles throughout each room, as well as flush thresholds in the showers to accommodate all levels of ability. The passive solar design incorporates the Housing Industry Association’s (HIA) GreenSmart Principles, which makes the home highly energy- and water-efficient. With an 8.5-star Building Energy Rating Scheme (BERS) rating, the home features energy-efficient lighting, as well as water-saving tapware that is plumbed to two underground 7,000L rainwater tanks, which results in a potable-water reduction of approximately 80 per cent. The above home, which was expertly designed and constructed by Right Homes, forms part of a much larger project. The clients, Don and Shauna, wanted a development of two units – one in which they’d live, while the other serves as a rental property. It was important that the designs would focus on sustainability and accessibility. 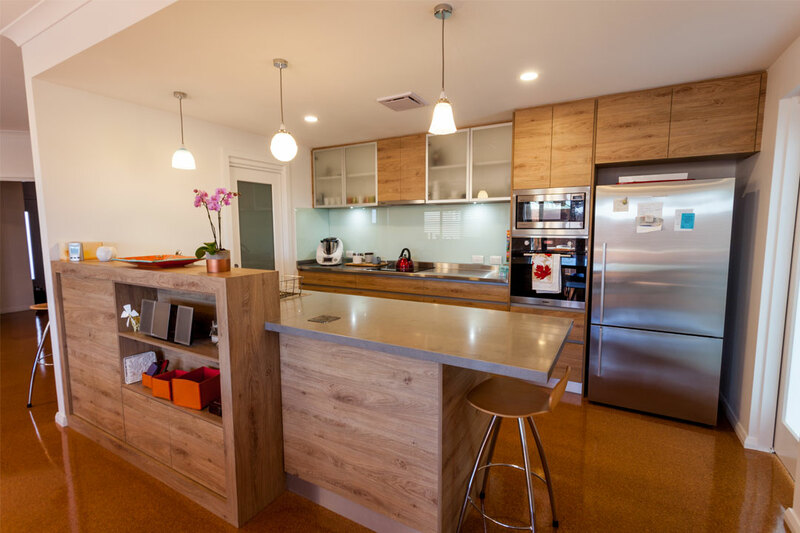 Right Homes implemented a passive solar design that employs the Housing Industry Association’s (HIA) GreenSmart Principles. 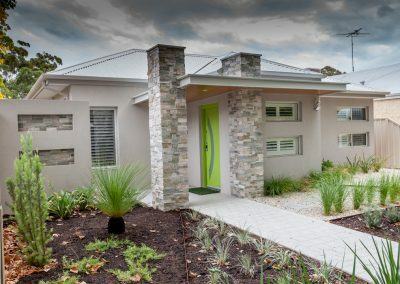 The clients’ new home incorporates energy- and water-saving features, alongside innovative inclusions like Low-E glass windows and energy-efficient lighting, as well as ceiling and wall insulation, which assists with ventilation and keeps the indoor temperature at a comfortable level throughout the year. A photovoltaic (PV) and solar hot-water system were also installed. With an impressive 9.5-star Building Energy Rating Scheme (BERS) rating, the design incorporates recyclable materials and waste-minimisation strategies where possible, which will help to reduce utility costs. The convenient and comfortable home features ramped entrances, wide doorframes and a zero-hob shower entry, as well as lever handles, which are found in each room to accommodate all levels of hand mobility. With a practical design that prioritises affordability and longevity, the unit comprises two bedrooms and a study area, as well as a large open-plan living and dining space, which is positioned next to the kitchen and alfresco area. Low-VOC paints, formaldehyde-free cabinetry, stainless steel benchtops and HI-MACS solid surfaces are also found throughout the unit. Tiled flooring was selected for the wet areas, while cork flooring was laid throughout all other areas of the home. These hypoallergenic surfaces not only have great thermal properties, but they’re also aesthetically pleasing and highly durable. Right Homes selected the home’s appliances based on energy efficiency, affordability, and long-term reliability. The clients were heavily involved in the entire construction process and provided a few of their own elements, including the infill fencing and vegetable garden. 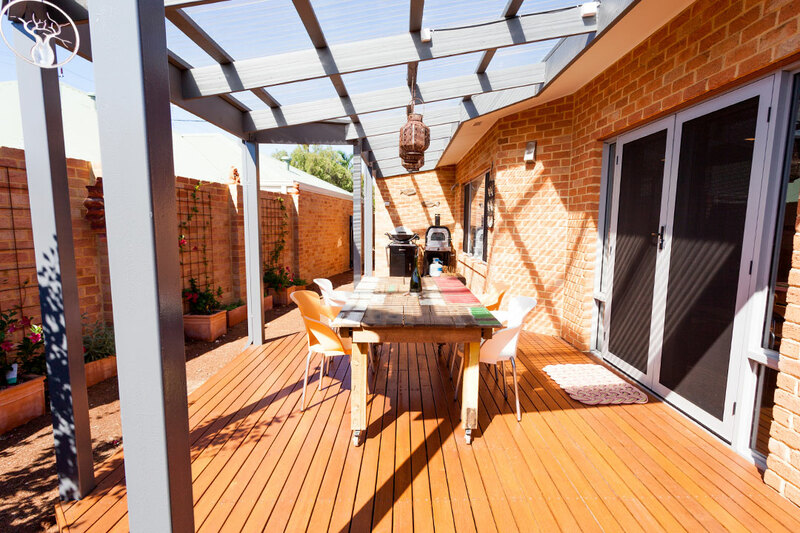 An innovative solar pergola was constructed from timber with polycarbonate on the north side of the home to provide protection throughout the year. Various water-saving fixtures were incorporated inside and outside the home. 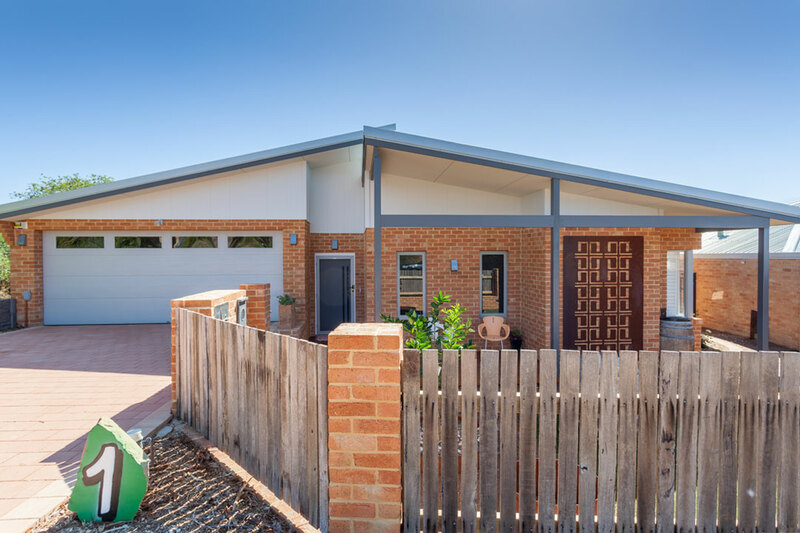 Established in 2006 by directors Gary and Anna Wright, Right Homes is a boutique residential building company that operates within the Perth metropolitan area. Specialising in designing and constructing affordable and sustainable homes for the future, the team provides a complete service to its clients, starting with the design phases, right through to construction. 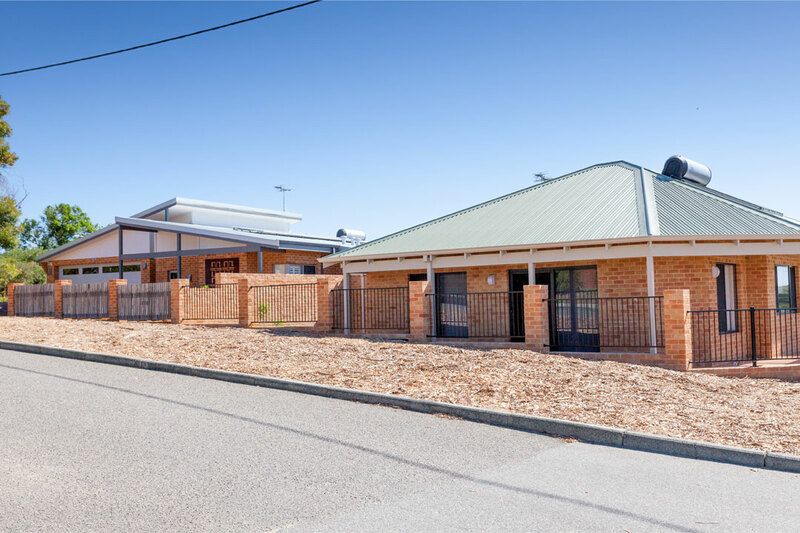 Right Homes has won countless awards over the years, including the 2017 HIA Western Australian GreenSmart awards for Water Efficiency, Townhouse/Villa Development of the year, and Design Concept. The company was also a finalist in the Custom Built Home and Energy Efficiency categories. 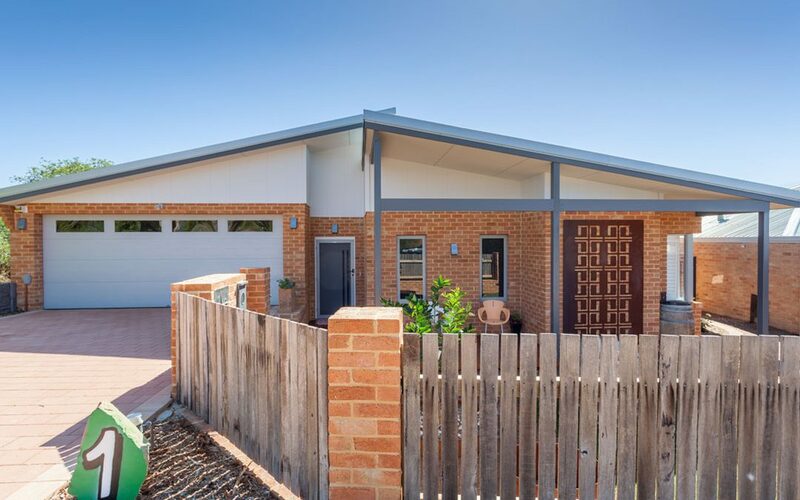 In 2018, Right Homes was a finalist in the Excellence in Energy Efficiency category at the Master Builders-Bankwest Housing Excellence Awards. It also won Best Customer Service – Small Builder.